Can Surgery, and even biopsy, spread cancer? Two thirds of cancer patients have surgery. But over the last 10 years a debate is heating up over whether this supposedly life-saving, orthodox medical approach to cancer is actually making matters worse. Cancer surgery may increase the metastases AND growth rate of cancer in the body. The truth is that this is not a new debate. As long ago as 1995 The Lancet printed an article about whether prostate cancer surgery could spread the disease. Another talked of how prostate biopsy could also cause metastases. In America, Medical experts currently using HIFU to treat prostate cancer, treat a margin of at least 1 cm around the prostate in men who have had biopsies for that very reason. New research from the Massachusetts Institute of Technology’s Whitehead Institute for Biomedical Research, has shown that the immune system is so compromised during surgery that it can let cancer cells past to spread around the body - albeit this is in rats with breast cancer. They believe this is a major reason why there are high levels of recurrence 18-24 months after breast surgery. At the risk of being dubbed alarmist (as I was when I repeated the Lancet’s correct concerns over the dangers of radiotherapy causing healthy tissue damage), in the interests of patients contemplating surgery (16,000 people next month in the UK alone), we should at least try to offer some suggestions on what you can do to empower yourself and reduce risk of metastases due to surgery. An American research study from 2009 agrees. It argues that there is a window just after surgery to be taking steps to improve patient outcomes. The refusal to acknowledge the truth about cancer surgery is probably costing lives. For a long time there have been rumblings about the possible dangers of cancer spread when having biopsies, for example, in breast cancer or prostate cancer. The issue is called seeding. Namely that when a needle is used up to 15 times to take samples across an area, it might hit an area of cancer on probe 3 and pass just a few cells on when probing all the following areas. Just such an article appeared in the BMJ (July 2004) quoting a report from Australian surgeons whose stated view was that continuing liver biopsies gave rise to a serious risk of seeding and stating that such biopsy was useless and dangerous. No doubt your surgeon will have his own views but be aware that there have been several studies over the years suggesting that fine needles can pick up cancer cells from one location and transport them to another, non-cancerous, one. Also, in the case of prostate cancer the capsule around the gland is punctured when having a biopsy. There seems to be a big difference in understanding and acknowledgement of the risk between America and the rest of the Western world. The National Cancer Institute (while claiming figures are extremely low) acknowledge that there is a risk. One of our patients in the UK had a gist, a balloon like growth extending out from his stomach wall. The UK surgeon said it was an easy operation he would give it to a junior, who would first conduct a biopsy. On our advice, the patient contacted an expert in America for a second opinion - a surgeon who specialised in gists. He said that to touch it with a biopsy needle was to risk it flaring up and cancer cells loosening off it. Gists were extremely dangerous when attacked and in the operation the surgeon had to be sure to get every last cancer cell out. And that is one of the biggest issues - removing every cancer cell. You will here breast cancer surgeons talking about ’getting good margins’ - cutting around the cancer so it can be completely removed. If they didn’t get good margins, it means they may well have cut through an area of cancer cells, releasing them into the blood and lymph systems. Life Extension Magazine in America reported as early as 1985 that cancer surgery increased the risk of metastases. By 2001 the British Journal of Cancer contained an article stating that removal of the primary tumour may result in sudden acceleration of the metastatic process. By 2009 in the Annals of Surgery, researchers reported that cancer surgery itself can create an environment in the body that greatly lessens the obstacles to metastases. This corroborates observations that relatively soon after surgery, metastatic lesions quickly emerge that were not necessarily evident prior to the surgical procedure - Bill Fallon, Life Extension magazine. In icon we covered Italian Breast cancer research by Dr Romano Demicheli, which looked at women having mastectomies at the Milan Cancer Institute. The conclusion made was that some women relapsed quickly and the surgery had created biochemical changes actually promoting cancer cell and blood supply growth, and increasing tumour growth rates. How easy is it for surgery to cause metastases? Let’s put this in context. Surrounding any cancer is a wall of connective tissue, so the first job a cancer cell wanting to spread has to do is to cross that. The cancer cell then has to enter the blood stream, and we have covered research in Cancer Watch explaining how it does this. It then has to move through the body undetected. Again, research in Cancer Watch showed that high levels of blood fat - LDL and triglycerides - helped the ’sticky’ cancer cell hide from the immune system. Then it has to go back across the blood vessel wall, and enter a target organ. No one is saying this is easy, but cancer has built it’s own slow, steady program to achieve this. Surgery helps by causing the surrounding connective tissue damage and providing direct access into the blood stream and lymph system; and by stimulating biochemical changes that then help cancer cells spread. How can surgery encourage cancer spread? Apart from physically disturbing and releasing cancer cells into the blood and lymph systems, other cancer-proliferating activities happen with surgery. 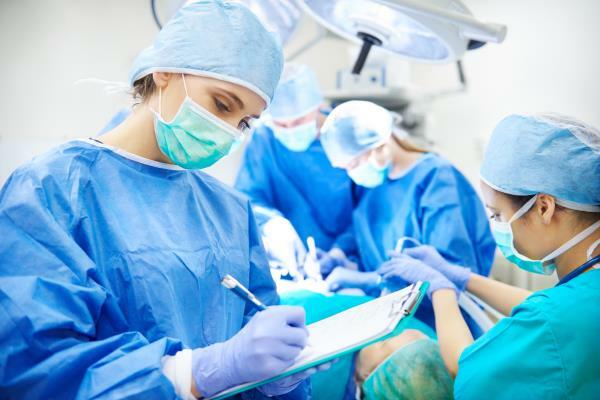 Surgery involves fundamental biochemical changes in the body, from the effects of stress to inflammatory response to the production of healing hormones. On top of that, Doctors give you drugs at the same time - anaesthetics and antibiotics. You simply cannot think of surgery as an isolated incident in the body. We have even noticed that non-related surgery, can precipitate a cancer - an appendix operation and breast cancer; a shoulder operation and prostate cancer. Surgery in the body can cause biochemical changes - for example, the release of ’healing’ growth hormone, which can be used by a cancer to grow and spread. Your cancer may well not be an isolated island in your body. Unless the cancer is diagnosed at an incredibly early stage, the conditions of cancer almost certainly exist all over your body. Several studies in Cancer Watch have shown that cancers produce secondary pre-cancer cells much earlier than previously thought. These rogue cells pass round the body to other tissues where they and their oncogenes lie dormant. Research has also shown that tumours can produce chemicals that stop vascular growth to these dormant cancer cells lying in other parts of the body. In other words the cancer cells need a blood supply in order to grow into a tumour but the main primary tumour actually stops rivals forming. Remove the primary and the others can come out to play. A great deal of research has focused on Vascular Endothelial Growth Factor (VEGF). You can suppress VEGF with bioactive natural compounds like curcumin, green tea (EGCG), resveratrol, milk thistle and genistein. Indeed, the actual healing process from any surgery see an increase in growth hormone levels in the body. Major surgery will produce a large growth hormone response. Surgeons know this and have been trying to minimise surgery - for example using more lumpectomies or key hole surgery. The antibiotics and drugs administered will damage your microbiome, the crucial bacteria in your gut that control your immune system, and keep pathogens and yeasts in check. Friendly bacteria in your microbiome also produce your B vitamins, vitamin K that protects your liver and short-chain esters that prevent build up of bad triglycerides and inflammatory compounds in the blood stream. We suggest you read our article ’Heal Ur Gut’ with some urgency and take probiotics and B complex during the period of the surgery. The antibiotics and drugs taken with surgery actually reduce plasma levels of vitamin D. Yet it is known that people with cancer and low levels of vitamin D, survive least. Take 5000 IUs per day of vitamin D, at least. Surgery uses anaesthetic., which is also known to reduce the immune system via the gut microbiome. Doctors typically measure the white cell count, but as we continually point out, there are many different types of white cells (T-cells, B-cells, macrophages etc). Research has shown that surgery greatly reduces the numbers of Natural Killer (NK) cells circulating in the blood you will have a much harder job to kill off a cancer cell after surgery. Readers will know that we have always advocated going into surgery with a strong immune system we have suggested a combination of astragalus, cats claw, turmeric, echinacea, total natural vitamin E, zinc, selenium, grape seed extract and natural vitamin C with bioflavenoids. Vitamins D and K have also been shown to help fight cancer cells in research. The drugs and anaesthetic used during surgery, and the stress involved, can make the body more acidic. Research from Arizona, Chicago and H. Lee Moffitt has shown that acid conditions in the body increase metastases from tumours and that acidic conditions favour these metastatic cells ’taking hold’ and forming new tumours. But there is much you can do to alkalise your body. through diet. Research from the Massachusetts Institute of Technology’s Whitehead Institute for Biomedical Research has shown that the issue could simply be the immune system. Their research has shown that it is so compromised it cannot deal with all the cancer cells. The cold fact is that, while drugs increasingly use Clinical Trials to support their benefits, Surgery has no such evidence to support it. In 2009, Norwegian Scientists even went as far as saying that the problem is we just don’t know whether breast cancer is better left alone, after a finding that women having no mammograms in a six year period had less cancers and greater survival rates than those having annual mammograms and subsequent treatment. So what’s a boy (or girl) to do? Start 6 weeks before - eating properly, taking exercise if possible, taking supplements like vitamin D, vitamin C and antioxidants like pygenol (pine bark extract), grape seed extract, fish oils, and curcumin will build you up. Healing: Take a ’total’ vitamin E to help the healing process, or some aloe vera to reduce scaring. Arnica will also promote healing. Counteracting the antibiotics: No surgeon gets out a scalpel without giving you antibiotics. Starting a week before, take a multi-strain probiotic and a yeast-killer like oregano oil, pau d’arco or caprylic acid. Antibiotics damage your gut microbiome which ordinarily fights (eats) yeasts. Take these for at least two months. Then start eating probiotic foods like unpasteurised cheese, kefir, sauerkraut and raw apple cider vinegar. Reduce inflammation: This is a problem because some anti-inflammatory compounds from aspirin to curcumin thin the blood or reduce platelets. Fish oils, grape seed extract, pine back extract, melatonin are all anti-oxidants that reduce inflammation, as does eating raw ginger, chicken soup, and drinking green tea. Ashwaganda is an excellent anti-inflammatory. Frankincense essential oil rubbed on your wrists at night will calm you and help you sleep. Sleep is very healing. Consider antihistamines: From five days before and up to two years after. The Johns Hopkins studies showed that Cimetidine lowered 3-year death rate after colorectal cancer surgery from 47% to 5%. Swedish research has shown that Desloratadine or Loratadine can increase survival times by 50% in women with breast cancer. Follow a healthy diet: After cancer surgery you may well be told you are free of cancer and how pleased the surgeon is. Dr. Young S. Kim of the National Cancer Institute told us about her research in 2012. People in remission have their cancer return more readily if they eat badly; but if they eat whole foods and a nutritious diet, they are far less likely to witness the return of their cancer. She told people to focus on foods containing sulforaphanes, curcumin, piperine, vitamin E, B vitamins, EGCG and genestein. As always at CANCERactive, we advocate the use of the colourful Mediterranean Diet or Rainbow Diet which would clearly be perfect. As soon as you can, exercise and/or yoga are proven to be linked to cancer survival. Next, talk to the surgeon. Over the last ten years surgeons have been trying to minimise surgery damage with keyhole treatments and lumpectomy rather than full scale removal. And there may be alternatives. A surgeon, as with all oncologists, has a legal duty to lay out all the options available to you. His ignorance is no defence in that duty. While UK surgeons may have little competition, American oncologists are much clearer about options for, say, prostate surgery and will talk about HIFU or Proton Beam Therapy. Or new methods like ablation and the Nanoknife IRE for deep-seated (often dubbed inoperable) tumours. People about to have surgery - whether they be cancer patients, or older people having general surgery - would do well to prepare themselves thoroughly, following a careful diet, boosting their gut bacteria and immune systems, taking natural compounds that can reduce cellular inflammation and looking to reduce the conditions of cancer throughout their bodies, in advance. * NB. Cimetidine (Tagamet) may inhibit the action of anti-coagulent drugs - and so you should always consult your doctor before taking it.